Every time we see this amazing art it blows us away. 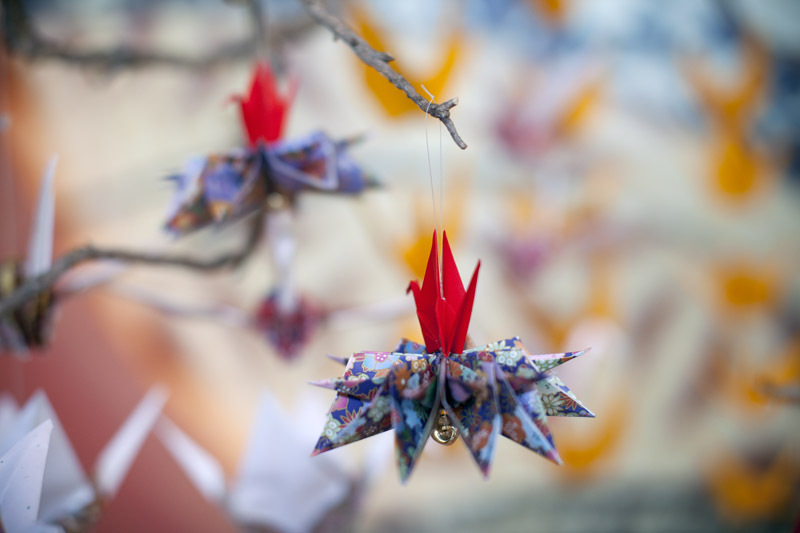 This tree was covered in different origami decorations, like a Japanese Christmas Tree. Stunning to say the least. hi there. i love visiting your site everyday! thanks for sharing. what lens are you using in this shot? it is just lovely. Thanks much! This was shot with a Canon 50 mm f/1.2 One of our favorite lenses. so beautiful… if only it could be christmas all over again i’d definately make my tree like this!